Newly popular frontman/rapper Tyler the Creator has already proven himself on his lastest solo venture, “Goblin” as one of raps new kings, but now its time to show what his crew can do. 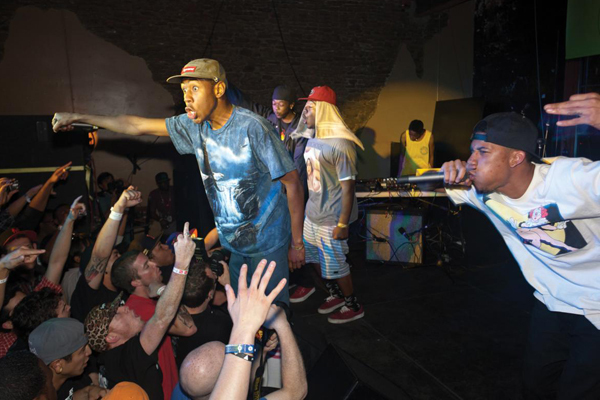 Odd Future Records has announced that on March 20th they’ll release The OF Tape Vol. 2 LP, which will contain new music from Tyler, the Creator, Hodgy Beats, Frank Ocean, Leftbrain, Domo Genesis, Mike G, Syd the Kyd and The Internet. If you haven’t heard of them, it’s about time you have. This is gonna be dope. GET SAD WITH RYAN HEMSWORTH ON "ALONE FOR THE FIRST TIME"